NorthBridge is a leading property management, investment, and consulting firm with deep roots across the greater DFW Metroplex. Company founders, Alex Payne and Brad Andrus, have been investing, developing, managing, and representing clients in commercial real estate and land investments since 1999. 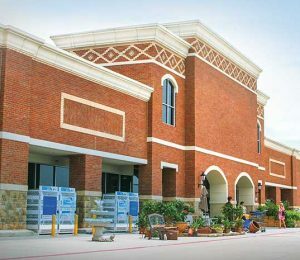 Through decades of hands-on experience, they knew there was a high demand in the DFW Metroplex for an integrated commercial real estate company providing best-in-class solutions with superior service. NorthBridge was founded to bridge the gap. Our team of seasoned professionals have the experience to effectively manage a vast range of property types including office, retail and industrial assets. We are committed to fulfilling your objectives by developing and implementing customized property management and investment strategies for both capital preservation and the maximization of asset cash flow. The NorthBridge team brings strong industry expertise and a successful track record of managing commercial real estate with outstanding results. Our senior management team averages over 20 years of experience and has brokered, financed, acquired, leased or managed hundreds of properties collectively valued at approximately $1 billion with a transactional volume of more than $250 million. By leveraging our direct, hands-on knowledge of the DFW Metroplex, and the properties we serve, our team strives to provide higher than average market returns, significant stability for investors, and to maximize returns for property owners. 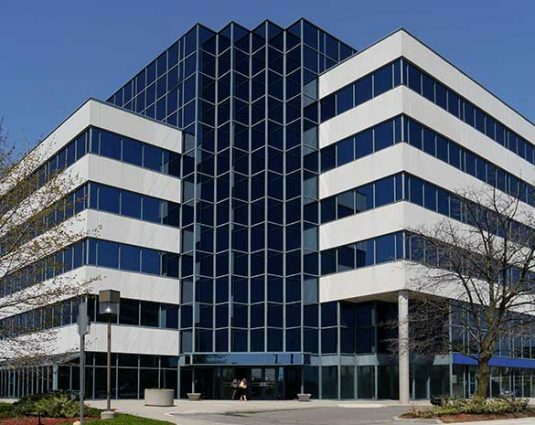 NorthBridge offers owners, developers, and investors a comprehensive suite of commercial real estate solutions. Privately owned and operated, NorthBridge Management is a leading property management company serving commercial real estate owners across the DFW Metroplex. We work with an owner’s perspective – we understand that attention to detail, expecting and preparing for the unexpected, and being proactive is essential to maximizing the value of real estate assets. As your trusted advisor, we put your interests above all else. Our experienced team of professionals has over 100 years of combined experience across all types of commercial real estate including office, retail, and industrial properties. Leveraging our direct, hands-on knowledge of the DFW market and our experience as property owners, we develop and implement a management strategy tailored specifically for each property. This client-centered approach helps property owners bridge the gap between under-performing and profitable ownership. As an owner, you’ll benefit from the highest level of personalized service for each of your managed properties. 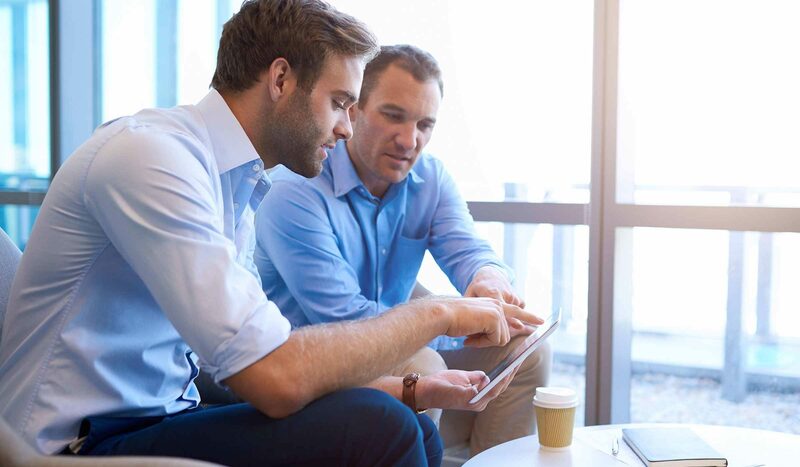 While other companies may take a “cookie cutter” approach, our experienced professionals go above and beyond to add value and improve the performance of your assets through truly customized solutions delivered with an unwavering commitment to service. Our office experience includes low-and mid-rise properties throughout the DFW Metroplex, spanning new construction and historic locations. Our retail experience includes big-box, mid-box, neighborhood retail, entertainment, and mixed-use properties. Our industrial experience includes warehouse, storage, multi-tenant, assembly, light manufacturing, and research and development properties. 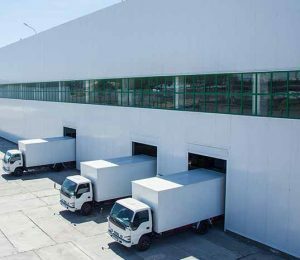 As storage facility developers and owners, we are experienced in warehouse, self-storage, and specialty storage. © 2019 NorthBridge. All rights reserved. Janice Stalder brings over 20 years of accounting experience to Northbridge. Janice is an analytically proficient accounting assistant responsible for accounts receivables, accounts payable, payroll and general bookkeeping support functions. Janice has a diverse background in environmental engineering, mid-to large business accounting, medical billings and bookkeeping. She is a team player always looking to grow and expand her skill-set and enjoys new challenges. Outside of work Janice can be found with her husband at their kids sporting events, traveling to various places around the world or enjoying Texas Red Dirt Singer/Songwriter concerts or festivals. Tim has more than 35 years of executive level business experience. He served on the faculty of Mays Business School, Texas A&M University-College Station, for five years where he taught graduate level accounting and valuation courses. Prior to his arrival at Mays Business School, he taught graduate level courses in the College of Business at the University of Dallas. Prior to selling the company in August 2013, Tim served for eight years as Chief Financial Officer of eInstruction Corp., a Denton-based international market leading educational technology company. Prior to eInstruction, Mr. Torno served for five years as CFO/VP-Finance for a Dallas-based venture backed wireless software company. Prior to that, he was the CFO for 12 years for a Lewisville-based publicly held electronic technology company that grew from $20 million in sales to more than $200 million in annual worldwide sales while going public in the process. He currently owns and operates numerous multifamily units in College Station, Texas and was the recipient of a 2015 housing tax credit award for a 72-unit apartment complex completed in early 2018. Tim has been a commercial real estate investor since 2000 and is a licensed Texas Real Estate Agent. Shannon joined Northbridge Management as a Portfolio Manager in 2019. She previously worked at Younan Properties, Inc., where she held the position of Sr. Property Manager. Shannon comes to Northbridge Management with over 14+ years of Commercial Real Estate experience in the oversight of muti-million dollar assets, financial reporting, budgeting, construction management and tenant relationships. Heather was inspired to pursue a career in real estate in 2014 after purchasing her first home in Dallas. In 2017, looking to start a new career, she joined the team at NorthBridge as Assistant Property Manager where she establishes and maintains positive relations with tenants and manages the day-to-day operation of multiple properties. She also loves to cook and take her dog on long walks. Heather is a graduate of West Texas A&M and enjoys spending time with her family and friends traveling and checking out local events. Sharla provides executive support and marketing expertise. She brings over 22 years of commercial real estate experience where she has pioneered process design, construction, implementation and management in various roles including marketing, brokerage, research, acquisitions and administration. Prior to joining the firm, Sharla provided virtual marketing and creative services to clients from many different industries. Before that, her experience traversed administrative and marketing roles with global and regional commercial real estate companies including CRT Properties, Inc., Cawley Partners, Jones Lang LaSalle, Holt Lunsford Commercial, Cushman & Wakefield, and Encore Enterprises. Sharla is responsible for team support and administration, marketing and promotional materials, presentations, website maintenance, event coordination and special projects. Her talents extend across a wide range of experience in different aspects of marketing, event planning, design and project coordination. Marsha Rice joined NorthBridge Management in April 2015 and currently serves as Director – Property Accounting. Marsha’s expertise comes from decades of handling the property management and accounting for portfolios of retail centers, office and industrial buildings. Marsha began her real estate career at Henry S. Miller Commercial in Dallas and spent over 20 years learning various aspects of brokerage and property management. Her accounting responsibilities have encompassed retail, office, and industrial properties throughout the Dallas/Fort Worth/Denton regions. Marsha’s comprehensive experience includes accounting, financial analysis, construction management, due diligence, leasing, and tenant relations. Marsha has held a Texas Real Estate License since 1992. Rebecca Andreasen joined NorthBridge Management as Executive Vice President, Director-Property Management in 2017. Rebecca brings over 23 years of experience in property management to the NorthBridge team. As a professional with a proven track record of utilizing experience in commercial property operations, acquisition and disposition, financial analysis and risk management, she leads teams in driving value and impact to the bottom line. Rebecca was selected as one of the Most Influential Women in Northern California Real Estate by GlobeStreet.com and the Southern California Real Estate Journal, identifying women who have made an outstanding contribution to the real estate market. Rebecca’s industry expertise has been featured in California Real Estate Journal publications. Additionally, she is a two-time recipient of The Outstanding Building of the Year Award (TOBY) for Oakland – East Bay. Rebecca has served in various capacities including Chair, BOMA Oakland- East Bay Strategic Long Range Planning, BOMA Principal Member & ICSC Member. She attended University of Phoenix with studies focused on Business Management and Finance. She holds the BOMA International designation RPA® (Real Property Administrator). Terry has spent over 25 years in the business community. He grew up in the sign manufacturing business in Denton at Starlite Sign. His father instilled a strong work ethic at an early age. Time spent on the manufacturing floor, purchasing, estimating, sales, and operations helped develop his business acumen. Terry purchased the company and led growth from $6 million to $22 million in annual revenue before selling a majority stake to private equity and merging with another large sign company in 2016. Shortly after the merger, Terry assumed the CEO role of a $55 million manufacturing firm with three locations in TX, IL, and WI. Terry has spent his professional career promoting the small business and the sign Industry. He served on the Board of Directors for the Texas Sign Association for several years including President from 2009-2010. Promoting general business and educating municipalities on sign ordinances has been a passion. Terry’s real estate experience is that of an investor/developer. Since 2006, he has developed and invested in several retail centers and land deals. Terry grew up in the North Texas and graduated from Celina High School in 1992. He earned a bachelor’s degree in Marketing from UNT in 1997. He currently lives in Aubrey, TX with his wife and two young daughters. In addition to spending time with his family, Terry enjoys hunting and sports. As the owner of Newland Real Estate, Everette Newland uses his many years of real estate experience to provide each client with honest, fair and professional real estate solutions. A graduate from Texas A&M, Everette’s emphasis on environmental science and land economics allows him a breadth of knowledge to better assist and educate clients on their personal real estate needs. Since 2002, Everette has been among the top three producers in acreage properties in North Central Texas. His expertise spans three areas: acreage property with emphasis on development for resale, recreation, investment, transitional lands and environmental consulting; commercial land with focus on entitlements, and preparation for marketing as highest and best use; and ranchland with experience in beneficial ranch infrastructure improvements, watershed management, oil and gas impact mitigation, grazing dynamics, and locating beneficial markets. Everette is a member of Denton Bible Church and the founder of Denton Bible’s cattle ministry. Everette also serves on Denton Calvary Academy’s School Board. He is active in the Denton community. Everette lives in Western Denton County with his wife and children. His hobbies include coaching, hunting, fishing, and ranching. Brad’s passion for real estate was first kindled as an investor, focusing his attention on commercial real estate. Prior to co-founding NorthBridge Management and Consulting, Brad spent seven years as an executive for a community bank. In that capacity, Brad guided clients in the development and acquisition of commercial real estate throughout North Texas. His expertise in underwriting and financing commercial real estate transactions enables him to advise his clients through the underwriting process and provides critical knowledge in closing complex transactions. Brad has a strong background in construction and property management. His experience as a developer provides him with the ability to guide his clients through their own construction and development projects. He understands what it takes to own and maintain real estate and enjoys sharing his expertise with his clients. Brad earned a bachelor’s degree from Brigham Young University in marketing and a master’s degree in Journalism from the University of North Texas. After attending Brigham Young University, Bret served as the Vice President at Farmers and Merchants State Bank in Krum. When the bank sold in 2006 he began his real estate career and started NorthBridge Realty Holdings. He has been involved in many real estate development projects, including several office parks, self-storage facilities and redevelopment projects in the Downtown area of Denton. He has worked to secure outside investors, contractors, and financing for many of the projects in which NorthBridge has been involved. 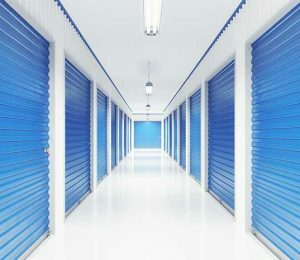 Bret is also a partner in various business entities, including Yellow Door Self Storage and BAAP Capital, which is in its third year of operation, and manages four private placement funds with over $10 million under management. BAAP Capital invests solely in Life Settlement Contracts. He is an active member of The Church of Jesus Christ of Latter Day Saints, and his hobbies include anything outdoors, with a special interest in golf and being involved in his kid’s sports. Since 1999, Alex has been representing owners and tenants of all commercial property types throughout Denton County and the Dallas/Fort Worth area. He has been retained as a consultant on large assignments including high profile clients such as City of Lake Dallas, North Central Texas College, and Denton Fireman’s Pension Fund and Denton County. Alex received his bachelor’s degree from the University of Texas at Austin in 2000 and has been an active member of International Council of Shopping Centers (ICSC), Texas Self Storage Association, the North Texas Commercial Association of REALTORS (NRCAR), Greater Denton/Wise County Association of Realtors (GDWCAR), The Chamber of Commerce in Denton and Argyle, Denton Economic Development Partnership, The Urban Land Institute, Class of 2004-2005 Leadership Denton. He serves/has served on the Board of Directors for Health Services of North Texas, Denton Community Theatre, Downtown Development Task Force, Denton Zoning Board of Adjustment, Texas Filmmakers (Thin Line Film Festival), Denton Downtown TIF Board, West Park TIRZ Board, and Argyle Chamber of Commerce.